My ears are super sensitive and even though I have pierced ears, I rarely wear earrings because I am really prone to infections. I wanted to get a good quality pair that I could keep in 24/7 and not have to worry about. My friend told me about Jennie Kwon Designs and I fell in love with so many pieces of her jewelry! 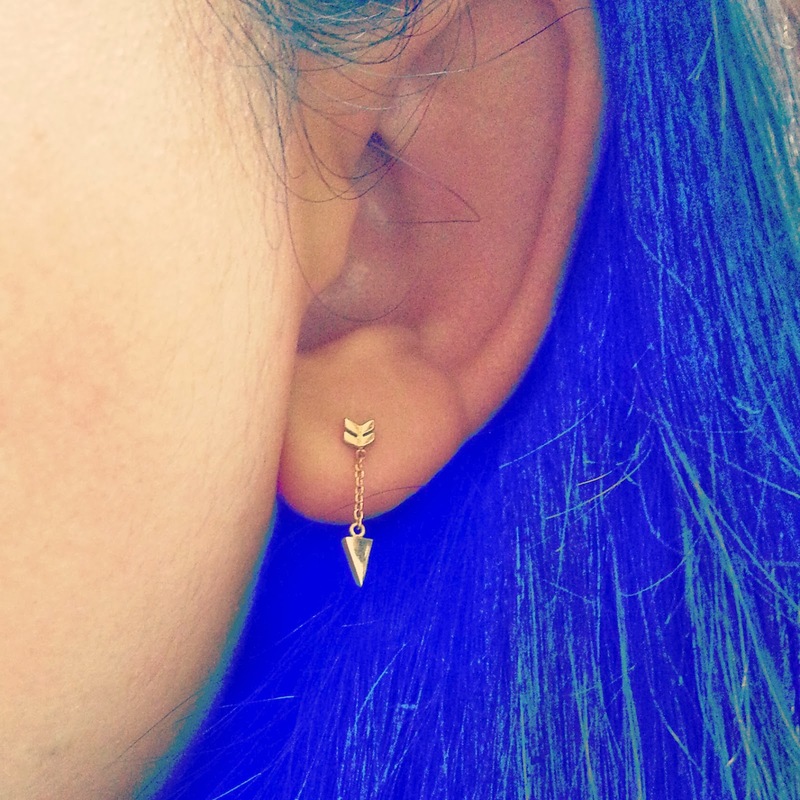 But since I am not a millionaire with a huge jewelry spending account, I limited myself to just one item - the arrow earrings. These come in a version with diamonds, but as we already discussed, I was trying to limit my jewelry spending. These earrings are so awesome! They combine the things I love best about a stud and a dangly earring. And I haven't had any sensitivity or ear infections with them so I pretty much just keep them in all the time. The one thing that bus me is sometimes they twist to the side so the arrow doesn't hang down straight. But I just check every now and then to make sure they are straight. 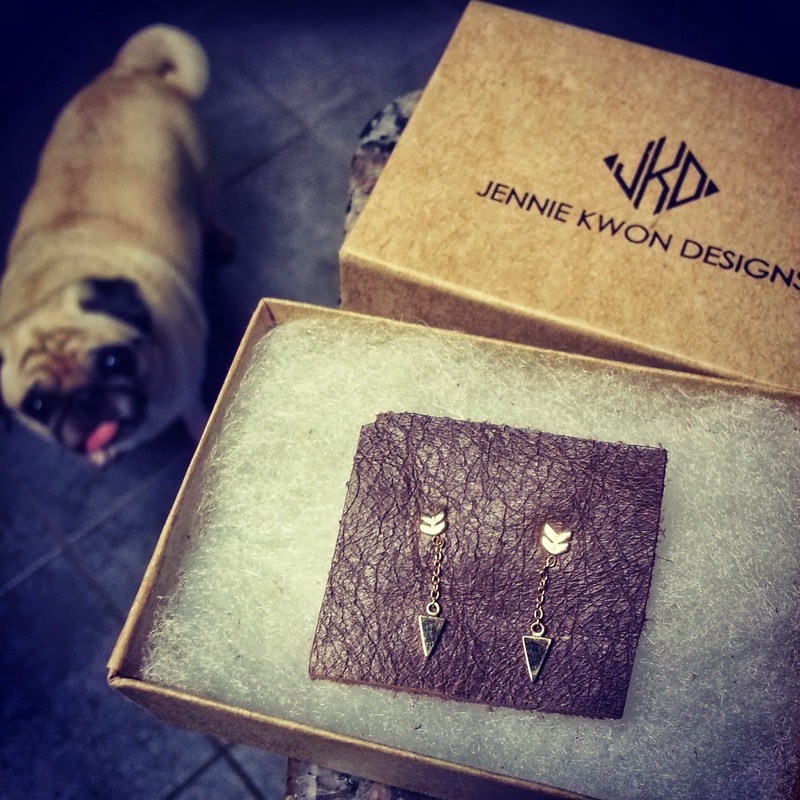 I'll definitely keep an eye out on Jennie Kwon Designs' line for future jewelry purchases! We'd love to talk to you about a potential partnership but can't find any email on this blog. Can you email me at giselle@doggyloot.com so I can give you more details? If silver works better for you, pair a sleek pendant necklace with earrings that make your eyes shimmer as bright as the material itself. Plus, with good skin, well-defined brows, high happy cheeks, you can never go wrong with head bands. Besides, why would you hide that face?